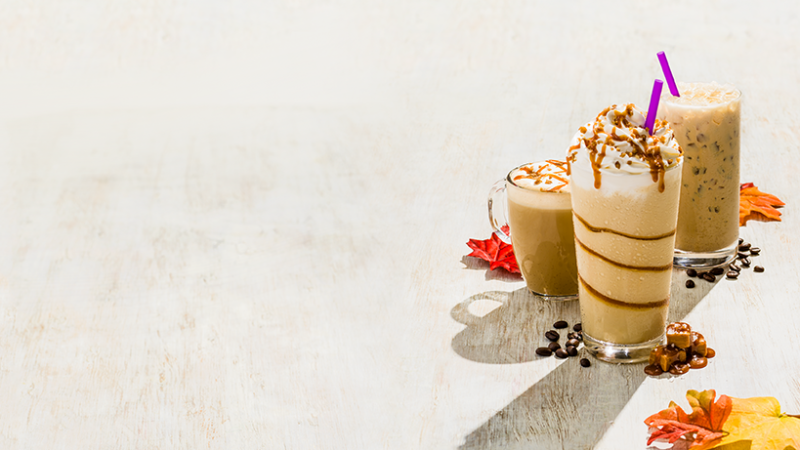 Options include a salted caramel latte (served hot or iced) and a salted caramel Ice Blended. In October, the chain switches the deal to pumpkin drinks. Options for next month include a pumpkin cold brew almond milk latte, a pumpkin spiced chai tea latte and a pumpkin spiced chai tea Ice Blended.